I can’t believe it’s been almost a week since I’ve come back from my vacation in New Orleans. I’ll share more photos at a later time, but one of my favorite parts of the trip was getting to indulge in beignets. There are Southern comfort food and Cajun restaurants in San Francisco that offer beignets. But the thing is, it’s just not the same as the beignets in New Orleans. So during our stay in New Orleans, is it any surprise that we overindulged in beignets? We had beignets three separate times over the week. lol. 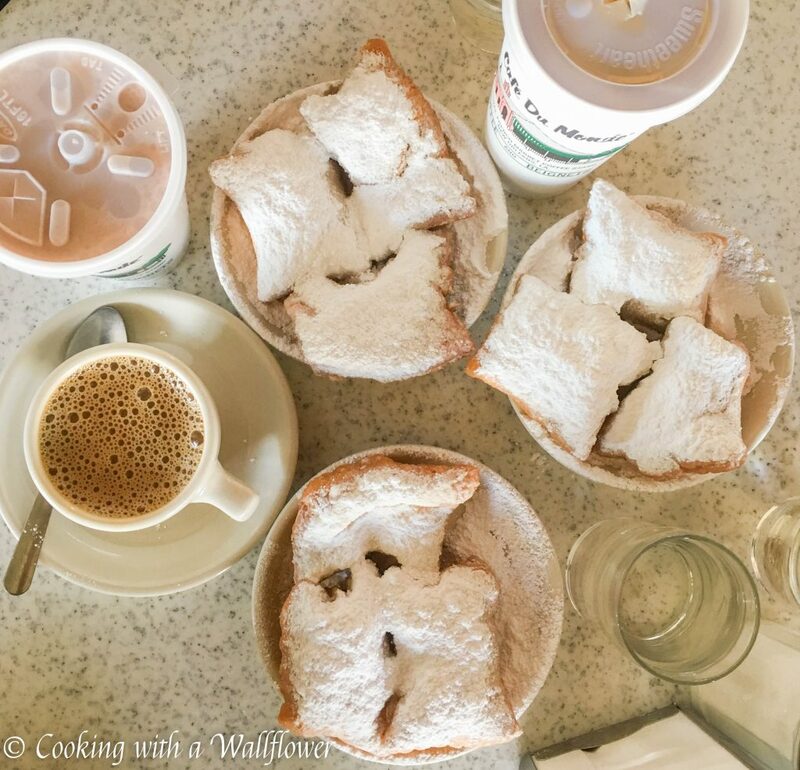 My favorite still remains to be the original Cafe du Monde location. Service is definitely not amazing. But the beignets are soo worth the crowds, the sticky ground, and the bad service. So is the coffee. And I don’t even drink coffee. lol. This spring green pasta puttanesca looks so delicious and perfect for spring. Omg. I am sooo ready to try this 30 minute chicken fajitas with roasted pineapple salsa verde. How delicious does this matcha strawberry sponge cake look? Plus, it’s both vegan and gluten free. I love all sorts of quiche and this asparagus and brie quiche is definitely a must. It’s still cold and rainy in the Bay Area so soups like this mushroom lemon orzo soup sounds so comforting. This maple roasted brussels sprouts sound sooo good. I can’t wait to try these herby everything cheddar swirl buns. This caprese pesto pasta bake sounds sooo amazing. This mixed berry galette looks sooo perfect for spring. If you’re looking for ideas for weeknight dinners, this vegan tofu curry or this one pot pasta with peas and bacon look soo tasty. These spicy korean gochujang chicken wings would make the perfect appetizer. I seriously need this bbq chicken cobb salad with avocado in my life. I just moved away a couple months ago and you are making me homesick! Mmm yummy! Never been to the city below sea level.